Joe Clifford is back with his latest installment of the Jay Porter series, Broken Ground, and some things have not changed. Porter is still a broken and attempting to hold the broken pieces of his life together with a tenuous grip. He is still looking to connect with his son and ex-wife, he still beats himself up for past transgressions, he still has a penance for helping people who are as broken as him, and he is still at war with the Lombardi brothers, who are slowly putting a stranglehold on the town of Lamentation, albeit in the name of progress. But Porter has made many changes as well. He appears to have more hope in his ability to move past the wrecks his drinking days have left behind, he is more willing to acknowledge the benefits his wife’s new husband has offered him by moving his son closer to his hometown, and he is more willing to dig into his own past and find the elements which could lead him to personal salvation. Porter is tasked with doing a “favor” for a desperate sister; locate his missing sibling and make sure she is safe. Along the way Porter finds the missing sister is connected to the Lombardi brothers and their attempt to hide the consequences of their willingness to sell their souls for a profit. 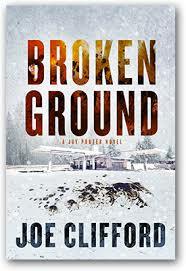 Digging deeper, Porter learns many others may have paid the ultimate price due to the brother’s greed and dishonesty. With dead bodies piling up and his few allies believing he may have finally lost his sanity, Porter will stop at nothing to bring the Lombardi brother’s illicit acts to light. From its confessional opening, to its ending which promises we have many more adventures with Porter to enjoy, this offering showcases the continued growth of Jay Porter as a main character and Joe Clifford as a writer. Clifford’s ability to offer a blueprint of a broken man trying to piece himself back together in a world only too quick to recall his previous failings is a thing of insightful beauty. Clifford is at the top of his game here and shows many signs of why he is a top echelon writer in today’s literary landscape. His writing is so full of truth, hurt, and hope it is painfully beautiful to read. This book is something special to behold.